Where to Bet Sport in Myanmar? 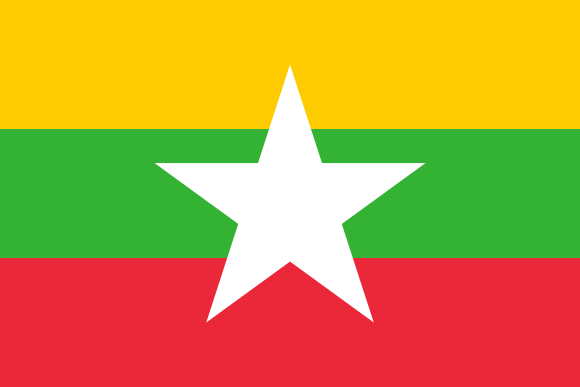 Republic of the Union of Myanmar (previously known as Burma) is a sovereign state in Southern Asia. Gambling in Myanmar is illegal, but the authorities are not very strict in following those rules. There are 5 casinos in Myanmar, sports bets and lottery (online lottery) as well. So even though some of the gambling is illegal (lottery isn’t), no one is being prosecuted by the government. Sports betting is the most played form of betting or gambling in Myanmar. The strange thing in Myanmar is that tourists are allowed to bet on sports, but for Myanmar citizens is illegal. Anyway, even though online gambling is illegal, Myanmar citizens can make online bets, without being prosecuted by the authorities. The casinos in Myanmar are high class and usually attached to hotels and have restaurants and bars. Some of them can even offer their guests to relax in their spas, swimming pools, karaoke clubs and golf courses as well. Treasure Island Casino (opened in 2005) is located in Thahtay Kyun. This Resort & Casino offers its clients 150 slot machines, 3 poker tables and 23 casino gaming tables. Andaman Club Resort & Casino in Thahtay Kyun is most likely the place to find the high rollers and VIP gamblers from most of Asia. Andaman Club Resort& Casino has 25 gaming tables, which includes blackjack, baccarat and roulette. Allure Resort is located in Tachilek, which is just across the northern Myanmar border to Thailand. Allure Resord provides with 133 gaming machines and 16 casino gaming tables. It also provides free airport shuttle. Regina Entertainment Resort and Casino is also located in Tachilek. This casino offers clients 30 game machines and 12 table games. The lottery in Myanmar is legal. The national lottery generates an estimated US$ 30 million and it is drawn monthly. There is some illegal lottery in which people prefer to play during a holiday atmosphere. The difference in the lottery entries between is that the national legal lottery is more expensive (US$0.25) than the illegal (US$0.025). Even though the most popular casino game is illegal, as for most of the gambling in Myanmar- people won’t be prosecuted for participating. Myanmarians often play online poker without being fined by their government. Gambling and betting is illegal for Myanmarians in their local country, but not for tourists. And even though is illegal, people from Myanmar are never charged for online gambling, and many online casinos accept participants from Myanmar.